I approached the Deeply Rooted organizational booth at the Pagan Spirit Gathering to find the story of the Pagan land community located between Medford and Wausau, Wisconsin. How did Deeply Rooted come about? My great-great grandparents bought numerous plots of land just in the north of Wisconsin in the 1890’s. Horrible farmland, that failed and was down to 160 acres by the 1920’s. My great uncles held it and it was going into foreclosure. They sought family help and my parents were able to step in and buy the land. A portion was to be my eventual inheritance, and I got them to deed 40 acres over to me, and the balance was put in a state forest restoration program. I donated the forty acres I had to Deeply Rooted, a 501C3-R religious organization. We have all the IRS bells and whistles attached. We applied in 1999 and it took a year and a half. We officially incorporated in the February of 2000. That class is for a church or other religious organization. To be involved then you join the corporation? We call it our community. 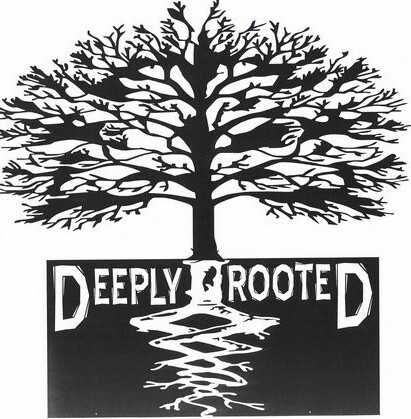 Deeply Rooted is run and owned by the board of Deeply Rooted. Anyone that is there, and a member for year, and has a basic earth-based spirituality can be elected to the six person board. We have had Agnostics, and Atheists, Daoist Buddist, and the whole menagerie of pagan variations involved. So then as a member you can also live there? The goal is two fold. We maintain a sanctuary for Pagan folk to come and do their thing spiritually. We have hosted every Sabbat for the last five years. Anything you can imagine in the Pagan world we are open to doing. 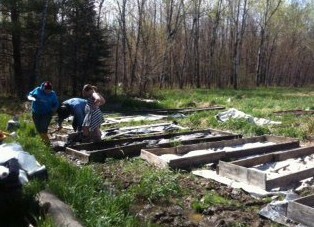 The flip side of that is to have permanent members living on the land in community, in as sustainable a way as possible. Right now there is three adults and two children living there. We are definitely looking for more people to live on the land, maybe 8-10 would be our maximum, our carrying capacity. Our goal is to be very low-impact. The human living area is less than 2-3 acres. People who live there we call ‘caretakers’ because their primary role is to maintain the sanctuary for Pagan folks coming for events or just because they need to get out in the woods for a while. Caretakers then don’t own anything, they build or live in what is there? Right now all of our buildings don’t have actual foundations. They are all on skids or movable. Any new buildings would also be easily movable or recyclable. The larger goal, our core, is to show that you can live a different way. Our way of living is not for everybody, but if you have the will and desire, you can make that happen here. It is a much simpler, off-grid, closer to the land kind of life. We exist as a demonstration to other Pagan folk that any lifestyle you want to live is feasible, if you make the effort. What about sanitary facilities, and electricity? We are just installing solar panels right now. We are totally using a stand alone system. We charge batteries, run lighting, We have a well, that unfortunately is still on a generator, but we expect by next year to have the well solar powered, too. We have composting toilets. They are basically ‘honey’ buckets that we then compost. We will be upgrading them as we build the new community center over the next 4-5 years. Deeply Rooted started before our township adopted zoning, so right now it is a gray area as they adopt rules, but we are working with our county in upgrading as needed. Besides the caretakers, we usually have a few interns over the summer. Membership averages about 30-35, but it has varied from 80-20. Because of how we are set up it is determined by your own level of involvement. With the range of participation and group dynamics sometimes 80 will show up for a Sabbat, other times maybe 15. We draw mainly from small town Wisconsin, those not quite living in the country, but close. We have had members from all areas of the state, and most urban areas at one time or another. It is pretty much the entire pagan community in all its delightful many forms, and sometimes with complete randomness. We have a complete open door policy. We recommend advance contact in respect for the caretakers, but people can visit most any time. Is every Sabbat different with such variety? We usually do some planning at the previous event, and have event coordinators. Small groups work on planning and scheduling, assigning clergy as we have our own clergy process. We usually have a rough sketch of who is doing what for the year, and then flesh out the details as we go along. We may also have like a Druid, or an Asatru or a gaming weekend. Then it is usually one or two co-coordinators who are assigned to be in charge of it. It tends to be a core group of 8-10 people who are dedicated to doing much of the planning. 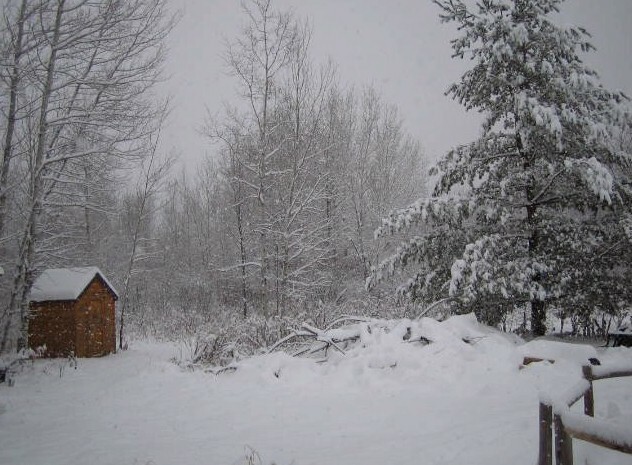 What is it like to live in a rural Pagan intentional community? I’ve been living at Deeply Rooted for six years, and spent three years preparing my life so I could be there. I guess I am surprised there aren’t more Pagans wanting to live this life. It can be daunting, a lot of pagans have this romanticized vision of what it is like to live in the woods. They show up and say, “Wow, it has bugs, and there is dirt, and I can’t plug in my computer right away. ” A place like this (PSG camp) has food and people, and if you don’t like something you can just go to another area of the camp… and that that is what Pagan community is about. It is much more difficult and complex. The vision has been to be an example that you can do what you want to do, if you are willing to make the sacrifice and make the effort. Those who live at Deeply Rooted kind of consider this to be our job, we don’t get paid for it, but can live there for free in this sacred community structure. It is definitely a lifestyle. Do you use a consensus process? Yes, we use that for both the board and events. Most of us have had experience in consensus. We are a small group and it makes sense. Ninety nine times we all want Deeply Rooted to be successful, and have a similar view of what that takes. One of our members coined the word. “Do-ocracy”. If you are really for something you better be prepared to spearhead the effort. We have evolved over the years to be much less tolerant of “ideas” people. If you have a strong opinion of what should be done, and you are not willing to do it yourself, we tend to go. “Thanks”, and move on to the next business. The Pagan community is filled with great ideas that they want someone else to work on. It is human nature. Our Deeply Rooted culture is moving toward one where you need to be in charge of implementing your good ideas! What would you want to say to our large urban Pagan population about why you should get involved or support Deeply Rooted? We have an intensive highland swamp. We have a mature climax hemlock forest. We have mature oak groves, resurgent pine and poplar area, and some just plain pulpwood. We have frogs that, in their season are so deafening you cannot hear people talking. Deeply Rooted represents to me what most of our Pagan books and traditions suggest we should be doing. For us the turn of the seasons, the Sabbats, are extraordinarily important. For Beltain we really hope there is not snow on the ground. The turn of the Wheel and being close to nature is a legitimate reality at Deeply Rooted. It is not symbolic, it is experienced. The harvest is critically important. To me it is a much deeper and more legitimate understanding of Paganism. It is living on the land. It is much harder to say you love the Mother when it is February and she is trying to kill you! If you can do this, expose yourself to nature in all its many wonderful forms and still love and honor her, it provides a deep level of spirituality that many people could benefit from. That being said, those who live in urban areas are not prepared to live in nature. This (PSG camp) is not camping, this is a resort, your home brought here. Deeply Rooted is a very rural, rustic, space. We live in a very deliberate, very directly connected way, that gives all the benefits of being very close to the land. Is there a reason to be a voting member if you don’t want to live there? Well you don’t even have to be a member to come out to events. You can come as a Pagan, or Pagan friendly person just to have fellowship. You can be a member just because you like what we are doing. We never turn anyone away, but also always need support and donations for events. We make every effort, if we know in advance, to accommodate people with special needs, and some even stay in nearby motels locally overnight if camping isn’t for them. 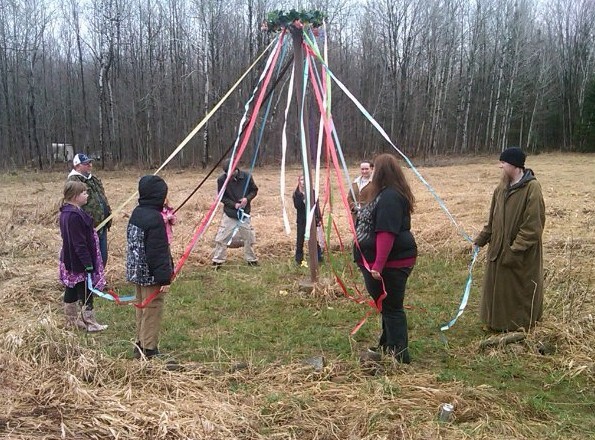 We have actual “Pagan Land”, where people have done ritual for over a decade. We have had Druid circles, and sweat lodges, and have a stone circle in the middle of the woods. It is our Pagan Homeland. It has a deep, grounding, and powerful presence when you really know that. Some just come for a week or weekend for personal time, to walk the woods, or be solitary. Deeply Rooted should be contacted before your visit, but know you will be heartily welcomed, as this interview was. Their complete organizational information is being updated . They have plans to have a booth at Sacred Harvest Festival, and will be available there to answer all your questions. I’ve actually been following along with their progress for several years, as the work they’re doing to live communally definitely piques my interest. 2-3 acres of living space sounds like a lot, but I’m guessing they’re including land that is reserved for agriculture.